TuneCore Collects Performance Royalties: It’s not just for distribution anymore. The Faults of Facebook Music: Why Facebook Music is overreaching, inconvenient and hasn’t quite figured it out yet. Rob Zombie and the Rick James Estate lead a class action against UMG for digital download monies: More litigation stemming from the Eminem case that categorized digital download monies under a record deal to be that of a license rather than royalties for record sales. FCC Improperly Fined CBS Over the Janet Jackson Wardrobe Malfunction: Does anyone even care about this anymore? Apparently so. © 2011 Erin M. Jacobson, Esq. All Rights Reserved. 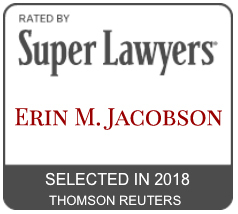 If you like this article and want to share it, please provide a link to www.erinmjacobsonesq.com or a direct link to the post for others to read it. Band Together 3 out now! My client, Band Together, is an organization that uses music to bring attention to important issues affecting today’s world. Band Together chooses music through an annual contest in which independent musicians submit their music to be judged by prominent industry leaders. The winners of the contests are featured on the Band Together albums. This year, all proceeds will benefit Youth Service America (www.ysa.org) and the What’s Your Issue Foundation (www.whatsyourissue.tv). The newly released Band Together 3 album is available on iTunes and Amazon. I hope you will support independent music for a great cause. The official press release is below with more information on Band Together, the artists and this year’s supported charities. WASHINGTON, DC, September 15, 2010 – Six musicians between the ages of 13 and 25 are finalists in the 2010 What’s Your Issue competition for their original songs about the social and political issues that concern them. Through the resulting album Band Together 3, they hope to inspire their peers to take action in their communities. British rapper Dan Bull (age 24) is one of the contributors, recording the song “America” to advocate for a new American healthcare system. After he fell seriously ill with peritonitis in 2008, he relied on the UK’s National Health Service for recovery. Other musicians featured on the album are Hayley Reardon (age 13) from Marblehead, MA; Kimberly Paige (age 17) from Jacksonville, FL; Georgia Napolitano (age 18) from Los Angeles, CA; Cameron Ernst and Devon Feldmeth (age 21) from Los Angeles, CA; and Tiffany and Whitney Taubman (age 25 and 22) from West Hills, CA. Their tracks touch on issues ranging from middle school bullying to civil rights. “We believe in the power of music to touch hearts and change minds on issues,” says What’s Your Issue founder HeathCliff Rothman. Youth can learn more about the musicians, their songs, and how to take action to create positive change at the website www.geturgoodon.org, an online community led by Miley Cyrus and Youth Service America that connects music and community service. Band Together 3 is the result of a global contest produced by the What’s Your Issue Foundation, with the support of YouTube, Apple, Sony Pictures and others. After youth submitted their songs through YouTube, a judging panel chose the final tracklist. The panel included industry insiders Pat Magnarella, the manager for the popular band Green Day, Jonathan McHugh, vice president of Island Def Jam Records, and Joe Lamond, the President and CEO of the National Association of Music Merchants. The songs span the genres of rock, rap, pop and country, and can be downloaded via online stores including iTunes and Amazon. Proceeds from album sales will be split between Youth Service America and the What’s Your Issue Foundation. Youth Service America improves communities by increasing the number and the diversity of young people, age 5-25, serving in substantive roles. Learn more at www.ysa.org. The What’s Your Issue Foundation is a national not-for-profit organization which runs an internet-based film and song competition, as well as Y/E, The Young Entrepreneur Network and a program of Video Tutorials. Learn more at www.whatsyourissue.tv. Band Together empowers musicians to impact social causes through benefit albums and innovative non-profit and corporate partnerships. Learn more at www.bandtogether.org. If people hate Facebook, why do they still use it? Why are people so attached to Facebook when they don’t like using it? Will their social lives really suffer that much without it? Would it be such a tragedy to communicate face to face or on the telephone? As much as I use social media, I think it would be a nice change for people to interact in person instead of online. What do you think? Read the rest of the article at Mashable. POLL – Why are people buying singles over albums? I just attended a great panel on the current state of music publishing deals, sponsored by AIMP. One of the topics discussed was how people are buying music. As you may know, people in the 50s and 60s bought singles. Shortly thereafter, the industry moved to a full-length album model. – people prefer the single format? – people now have shorter attention spans? – artists only include one or two good songs on an album, making it a waste of money to pay for 10-12 songs? I would love to know YOUR thoughts as to why this is the case. Please leave a comment to let me know why you think people are back to buying singles.